Older adults and younger generations can all prosper from sharing experiences together. Intergenerational living has become a growing trend across the United States – even in the White House. There are so many good things that may come of intergenerational relationships. Ther retirement living field may market intergenerational living as an innovative new concept, but in reality, it’s not. In fact, it reflects a more natural way to live. Our culture is only now re-discovering the benefits that were once a seamless part of life. Generations have lived in harmony benefitting mutually for all of recorded history. 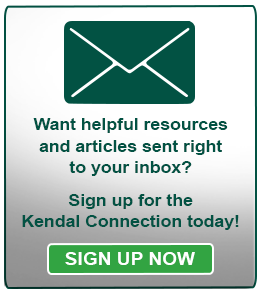 Variety in age is just one element of the diversity Kendal strives to create. We are fortunate to have multiple avenues by which we are able to enrich the lives of our community members with intergenerational friendships. Through programs like the Kendal Early Learning Center and our effort to employ high school and college students, children and young adults are always engaging with residents resulting in positive benefits to both. 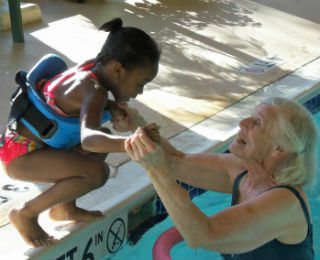 Young children provide a spark of enthusiasm to older adults. Kids have a certain optimism they carry about that rubs off on everyone around them. These relationships are a great way to add joy to your day. A child’s laughter is contagious! Children are blind to differences in age. A friendship with a child can be truly special. A child will look at a bond with a mature adult the same way he or she does with a peer at grammar school. Regardless of age, one can never have too many great friends! It’s true that these relationships have been proven to be beneficial for both children and retirement community residents, but it is also clear that the staff gets a boost as well. Think about your time at work. What would witnessing such a warm interaction have done for a dreaded case of “the Mondays”? The benefits become exponential when shared! And many communities with child care and education programs offer priority enrollment to staff. Do you ever think of what you could have done with your current pool of knowledge in your teens or 20s? As young adults we can be a bit hesitant to listen to our parents, but a friendship like this may be just what we need to see the light. And it always feels good to give back. Real wisdom and life knowledge cannot be drawn from anywhere else. Hundreds of these programs have been popping up across the nation for these very good reasons. This natural, comfortable living is positive for everyone involved. Gaining new perspectives and more complete outlooks is a blessing that will last a lifetime.